This elegant and classic cap is designed to perfectly match our shiny gowns. It adjusts easily to any head size thanks to the elastic band in the back. 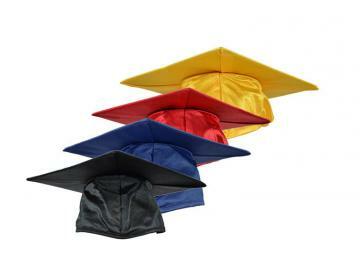 The tassel is attached to a raised button located on the top of the cap. Attention to detail guarantees both a great look and perfect fit. 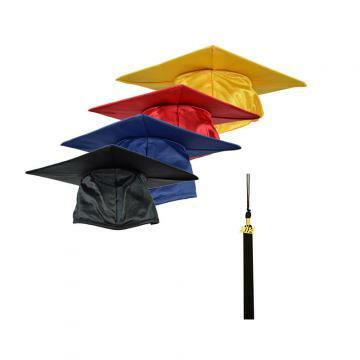 The Graduation cap is one of the most iconic symbols of the graduation ceremony and becomes a treasured keepsake for the graduate for years to come. Inside each student can add his or her name and the date.